Welcome to the Dennis J Coleman DDS – Family & Cosmetic Dentistry family dentistry blog. At our practice we are proud of our long legacy of dental excellence in Davidson. If you are looking for an experienced family dentist in Davidson, Charlotte, Huntersville, or Lake Norman, we invite you to visit us at Dennis J Coleman DDS – Family & Cosmetic Dentistry. Our dental service menu includes general, cosmetic, and restorative services for every member of the family. We strive to create a pleasant dental experience for our youngest patients at Dennis J Coleman DDS – Family & Cosmetic Dentistry. We want to make sure that our patients always look forward to visits and that they never develop dental anxiety. Our treatments are safe and administered by health care professionals with years of experience. If you have toddlers and young children, we can guide you on topics such as pediatric oral care, sealants, and fluoride treatments. If you have older children or teens at home, in addition to general dentistry, we provide orthodontic services, gum disease treatment, and wisdom teeth removal. Hundreds of patients at Dennis J Coleman DDS – Family & Cosmetic Dentistry have dramatically improved their smile with the marvels of cosmetic dentistry. Schedule a consultation for a smile makeovers and we’ll discuss affordable dental options to help you improve the appearance of your smile. Cosmetic dentistry techniques and materials are better than ever and some procedures can be completed in just one visit! 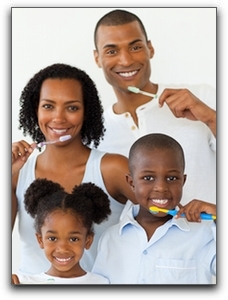 At Dennis J Coleman DDS – Family & Cosmetic Dentistry, we treat you like family. To schedule an exam and cleaning with a family dentist in Davidson, call us at 704-765-9516.